On 11 September 2013, 2 million Catalan citizens reached out forming a human chain over 400 kilometres long. This impressive demonstration, known as “Catalan Way to Independence,” showed, once again, that a huge majority of the Catalan people (around 80 percent according to the polls) wants to exercise the right to decide on their own future as a nation, and that a majority would choose independence (around 55 percent, excluding those still undecided). But so far Spain is not allowing this democratic choice to take place. Meanwhile, on EU membership, many contradictory statements are being made on how Europe can or should respond to emerging new states within its very borders. 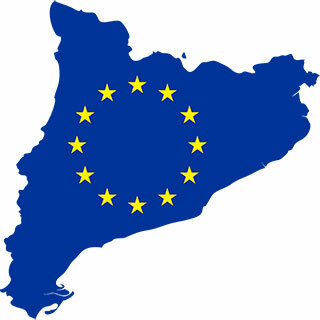 Some days after the National Day and huge civic demonstration, the Spanish member of the European Commission, Joaquin Almunia, declared – other commissioners followed suit – that an independent Catalonia would automatically remain outside the EU and would need to go through a complex negotiation and accession process in order to be part of the EU again. Ironically enough, the same commissioner said exactly the opposite one year ago, before Spanish diplomatic pressure started. Here are some points to clarify the issue. 1) EU treaties are silent on what happens when a part of a member state becomes independent. The possibility of internal enlargement, that is, an enlargement of the EU with new states resulting from self-determination processes within current EU member states, is neither explicitly rejected nor explicitly foreseen by the treaties. So all statements by the EU institutions and their representatives are political in nature and not juridical. 2) In previous unforeseen situations the EU has adopted common sense solutions based on negotiation and agreement. It was pragmatic when East Germany merged with West Germany or when Greenland chose to leave the EU despite being part of a member state (Denmark). There is no reason why the EU will not be pragmatic with Catalonia. 3) Catalonia meets all requirements and criteria to remain in the EU and has been applying EU legislation for a long time, so Catalonia would not have to go through a full accession process. For sure, concrete matters must be renegotiated, such as quotas for representation in the EU institutions or Catalonia’s contribution to the budget, but this negotiation should be short and unproblematic and does not have to be conducted from a status of non-membership. Moreover, all Catalan citizens acquired certain rights and freedoms through their European citizenship. Rights cannot be taken away so easily, particularly when citizens democratically decide to leave a member state but not the EU. 4) Democracy is a fundamental principle enshrined in the European Treaties. The EU is committed to the promotion of democracy within the Union and around the globe. The EU cannot and should not punish Catalans just for exercising this basic principle. 5) It is within the economic interests of the EU and of its member states – including Spain – to have an independent Catalonia within the EU. Member states, in defence of their citizens and companies’ interests, will be keen to see Catalonia remaining within the EU. Will the EU really let go of a south European country that has great commercial potential, a strategic location, and is a net contributor to EU coffers? In times of economic hardship, are we really going to exclude parts of Europe and risk de-solidarising the European integration project? The Spanish government believes it can cast fear and doubt among Catalan people by arguing that an independent state would see it outside the EU and isolated from the international community. But its argument is not based on solid ground.